Arrival at the heart of all activities in the capital, the pulsating capital of India: Delhi. Delhi catches you just loving it! Is it because it is the capital that it has such charm? Or it is just the aura of the Central Government and Rashtrapati Bhawan which is infections. Here's the secret: Delhi was just made that way! Over the millennia it has wood rulers, attracted plunderers and tired historians with so many details. Historians say there have been seven cities of Delhi. If you count the smaller settlements and forts, the number may touch fifteen. Each city has left behind so much story and material for rumination that it requires many a lifetime to know them all completely. Delhi was the center of power during the Mahabharata age, in the time of Muslim rule, and during British rule. Today, Delhi is burgeoning metropolises that creates more opportunities than any other city in India and attracts hundreds of thousands of people make it their home. An extension of the Old City. Lutyens conceived a modern concentric development, the perfectly proportioned plan of this area. The Rashtrapati Bhawan lies at its center and the sense of freedom of wide, open space is very hard to miss. The India Gate is a favorite tourist spot for people of all ages. A memorial in tribute to the soldiers martyred in the Afghan War, it has the names of all these heroic men inscribed on it. It is a riot of activity and adventures that teems with shrieking children, carefree tourists, and hawkers and vendors every day of the year. Fly out of Delhi to Khajuraho and drive to Bandhavgarh, check in at Tiger Den. It is a famous tourist and archaeological site known for its sculptured temples dedicated toShiva (Shiva), Vishnu, and Jaina patriarchs.Of the area's 85 original Khajuraho temples, about 20 are still reasonably well preserved. With a few exceptions they are constructed of hard river sandstone. Both internally and externally the temples are richly carved with excellent sculptures that are frequently sensual and, in a few instances, sexually explicit. The temples are divided into three complexes, of which the western is the largest and best known, containing the magnificent Shaivite temple Kandarya Mahadeva (c. 1000), a 102-foot- (31-metre-) high agglomeration of porches and turrets culminating in a spire.Modern Khajraho is a small village, serving the tourist trade with hotels and an airport. Khajraho's name derives from the prevalence of khajur, or date palms, in the area. Bandhavgarh National Park is located around 195 km off Jabalpur and 210 km off Khajuraho in Madhya Pradesh. Considered as the crown in the wildlife heritage of Madhya Pradesh, Bandhavgarh is known for the Royal Bengal Tigers, cheetals, leopard, gaur, sambhar, and many more faunal species. Bandhavgarh National Park is nestled in the Vindhya mountain range of Central India full of hills and reverines. Though, very small in comparison to Kanha or other parks of Madhya Pradesh, the park hosts almost the same number of tigers or any other wildlife animal. Apart from tigers and leopards, Bandhavgarh is also extremely productive for medium-sized bison herds. 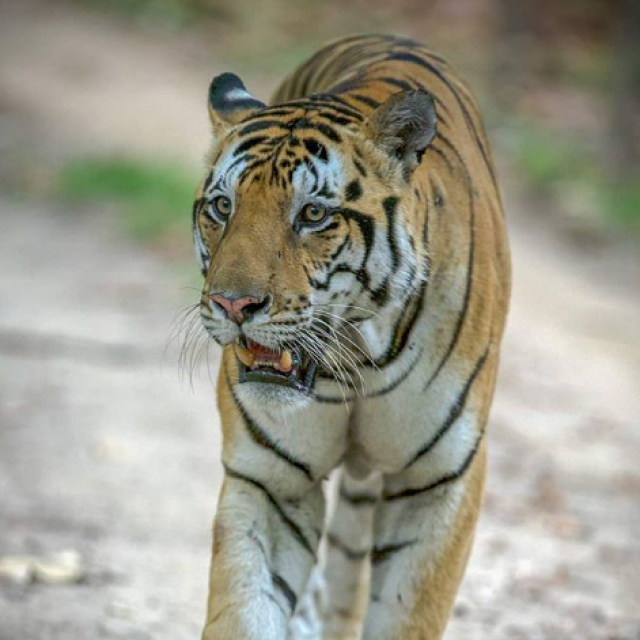 Bandhavgarh came into existence as a national park in 1968 with a core area of 105 sq. km, which was later, extended to include two adjoining sal forests in 1986. Before becoming a national park, it was the game reserve of the Maharajas of Rewa. But due to loss of royal patronage, it remained neglected for a long time until the government declared it a national park to control rampant poaching in the area. Morning and Evening Safari in Bandhavgarh, Elephant Safari also. Morning and Evening Safari in Bandhavgarh, trip to Fort. 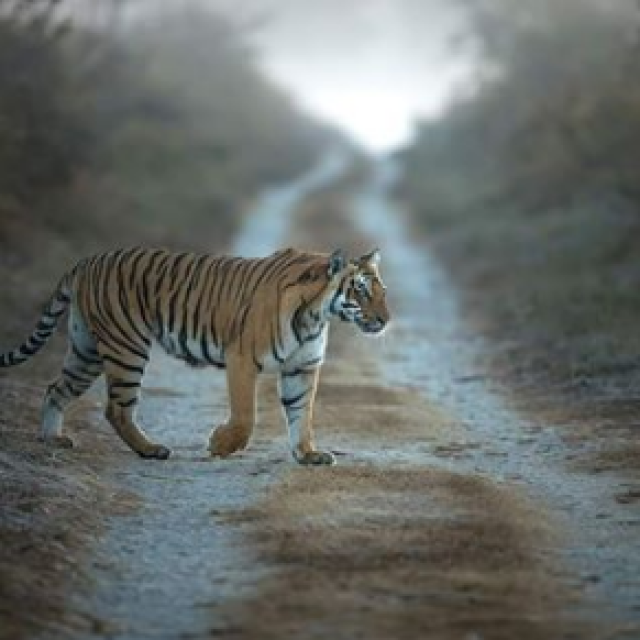 Morning and Evening Safari in Bandhavgarh. Morning and Evening Safari in Kanha. Drive from Kanha national park to Jabalpur, and train to Agra will later transfer you to the city of the TAJ. Agra - The city known for the famous monument of love - the Taj Mahal. The Mughal Emperor, Shah Jehan, constructed taj Mahal. It is said he built this monument in the memory of his beloved wife Mumtaj Mahal. The Taj Mahal is ethereal at any part of the day - blushing in the rosy glow of dawn or sunset, appearing like a pearly mirage in the moonlight or reflected in the pools of the garden. Perhaps the most moving view of the Taj is from an octagonal tower in the Agra Fort further along the river Yamuna. Arrive Agra and on reaching there you will be guided by the nature safari officials to the hotel, evening sight seeing. .
Drive from Agra to Ranthambore; check in at Tiger Den resort. 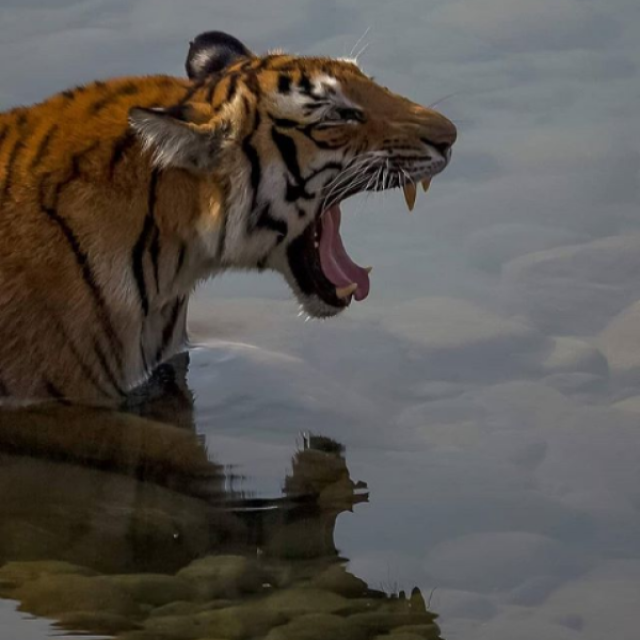 Ranthambore reserve is situated in India's northwestern state of Rajasthan, near the town of Sawai Madhopur, midway between Bharatpur and Kota townships. It is surrounded by the Vindhya and Aravali hill ranges and is very near to the outer fringes of the Thar Desert. The entire area has sprawling tracts of the desert and semi-desert vegetation. Originally a hunting ground of the Maharaja of Jaipur, Ranthambore was declared a game sanctuary in 1955. 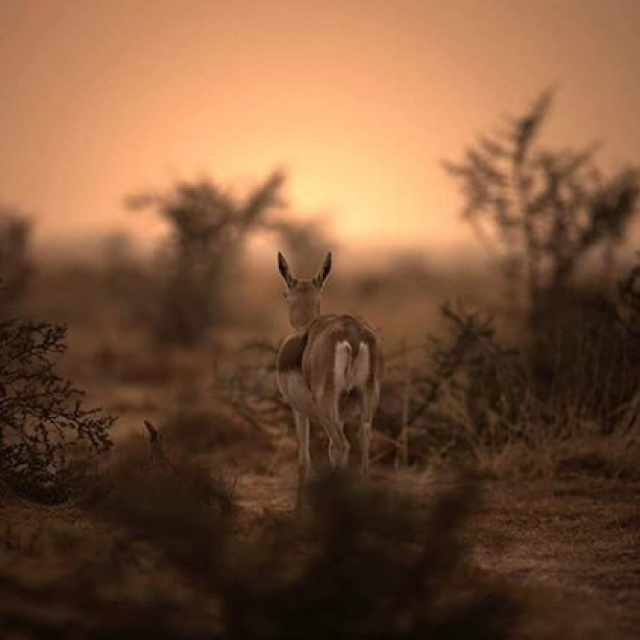 In 1980, it became a national park and listed among the reserves protected under Project Tiger (1973). Presently the Kaila Devi Sanctuary, also famous for its tigers, and Mansingh Sanctuary also form part of Ranthambore Reserve. Morning and Evening Safari in Ranthambore. Morning Safari and drive to Jaipur. The most favored holiday destination in India Jaipur with its palaces and forts beckons one and all. The magic of the majestic city captures all with the royal treatment and hospitality. Right from your arrival and throughout the stay at Jaipur joy will be all around and within you. The journey in the Palace on Wheels or the Royal Orient will be the tailor to the hospitality at the first planned city of India Jaipur. The magnificent Mahals will not fail to mesmerize you. City Palace, Hawa Mahal, Amber Fort and the Jal Mahal top the list of must visit palaces at Jaipur. The architecture of splendid palaces of the Maharajas of the bygone eras tells the tale of the chivalry, tragedy and romance. Amber Fort, Jaigarh Fort, Nahargarh Fort, City Palace,Govind Devji, TempleMoti ,Doongrari & Lakshmi Narayan Temple Jagat,Shiromani Temple,Jantar Mantar,Hawa Mahal,Ram Niwas, Garden Central Museum (or Albert Hall Museum), Zoological Garden, Sisodia Rani Palace and Garden, Vidyadhar Garden, JalMahal, Royal Cenotaphs, Statue Circle, Galta, Ramgarh, B.M. Birla Auditorium and Convention Center. Drive from Jaipur to Delhi, and fly out in the night out of Delhi.